Mental health consultation for the licensed childcare community in Contra Costa County. Our programs are based on the belief that each child and family is unique and we honor their beliefs and cultural, linguistic, racial, and socioeconomic diversity while supporting each family and child to reach their full potential, regardless of their abilities or circumstances. The Developmental Teacher Associate, has the challenging and rewarding opportunity to plan curriculum, special activities, and events to make learning rewarding for children 18 months to 3 years with special needs. Working alongside the Lead Teacher, the Teacher Associate will use their creative ability to find activities that meet the children’s interests, needs, and individual development levels. The Teacher Associate finds ways to incorporate the objectives and goals of the curriculum through activities that are creatively, intellectually, and physically stimulating. Being a Teacher Associate allows you to connect with children in a positive, engaging way that helps them learn in the ways they are most successful. The role is very hands on and requires high levels of energy an engagement. Foster a positive and collaborative learning environment where the unique needs of all children are met and give children a chance to learn important concepts in an interactive hands on environment. Participate as an active team member in curriculum planning and implementation. Implement individual children goals into daily activities. Follow all certification guidelines for health, safety, and supervision of children to ensure that they have a safe place to learn both emotional skills and intellectual concepts. 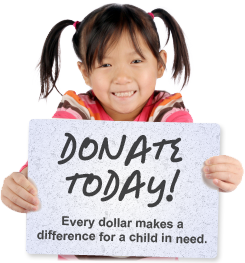 Support children with daily self-help skills (Such as eating, toileting, and personal hygiene). Regularly communicate with family members and other staff, such as therapists, in order to meet the individual needs of each child. Watch for and document emerging interests of every child, showing progress through weekly lesson plans and/or progress notes. Provide guidance to interns and volunteers assigned to classroom. Effectively fill in for lead teacher in their absence. The State preschool Teacher Associate, has the challenging and rewarding opportunity to plan curriculum, special activities, and events to make learning rewarding for children. Working alongside the Lead Teacher, the Teacher Associate will use their creative ability to find activities that meet the children’s interests, needs, and individual development levels. The Teacher Associate finds ways to incorporate the objectives and goals of the curriculum through activities that are creatively, intellectually, and physically stimulating. Being a Teacher Associate allows you to connect with children in a positive, engaging way that helps them learn in the ways they are most successful. This position is hourly as needed Monday through Friday. This position requires fingerprint clearance including criminal background check as well as passing a standard physical with TB clearance. All positions require fingerprint clearance including criminal background check as well as passing a standard physical with TB clearance. We Care offers a competitive benefit plan (medical, dental, life, 403b) for all employees. Immediate Vacation & Sick time accruals includes holidays & 1 personal floating holiday. Thank you for your interest in We Care Services for Children.